OTTAWA—Sen. Mike Duffy’s lawyers recalled the political scandal surrounding his expense claims in a bid Thursday to keep the Senate in the crosshairs of a multimillion-dollar lawsuit over his suspension from the chamber in 2013. The Senate argues Duffy’s lawsuit is an overreach because the upper chamber can discipline its members without fear of judicial oversight under parliamentary privilege — a centuries-old right designed to protect legislators from legal consequence in the course of doing their jobs. Duffy’s lawyer, Lawrence Greenspon, said the upper chamber gave up that protective privilege when Conservative senators allowed the Prime Minister’s Office to dictate decisions around Duffy’s case as Stephen Harper’s staff aimed to quash a rising political scandal over Duffy’s housing claims. The Senate argues otherwise, saying executive interference doesn’t neuter the scope of privilege. In November 2013, a majority of senators voted to suspend Duffy indefinitely without pay — a punishment that was lifted after about two years. Greenspon argued that the decision to suspend Duffy — which he likens to an effective expulsion because it was indefinite — was for reasons unconnected to the Senate’s primary function as a legislative chamber, meaning privilege doesn’t apply. “It was outside the Senate’s own rules and the Senate knew that,” Greenspon said. Duffy is seeking more than $7.8 million in damages from the Senate and the RCMP in the wake of the high-profile investigation and suspension surrounding his expense claims, which ended in Duffy’s acquittal on 31 charges in April 2016. He would only be able to sue the RCMP for its actions in the investigation if Justice Sally Gomery decides Duffy can’t legally sue the Senate. Duffy sat through much of the two days of hearings on the Senate’s request to be stricken from his lawsuit, listening to references to domestic and international case law, the spectre of his own expense scandal, and even a mention of O.J. Simpson’s criminal and civil trials. The one-time Conservative senator filed his claim last August, claiming “an unprecedented abuse of power” when senators voted to suspend him without pay in November 2013 before any criminal charges were filed. Senators who supported Duffy’s suspension stuck to the argument that the Senate should be allowed to govern its internal affairs and dole out administrative penalties without fear of judicial sanction. Usually, judges defer to the idea of protecting the autonomy of parliamentarians from the courts when questions arise about the scope of the shield. 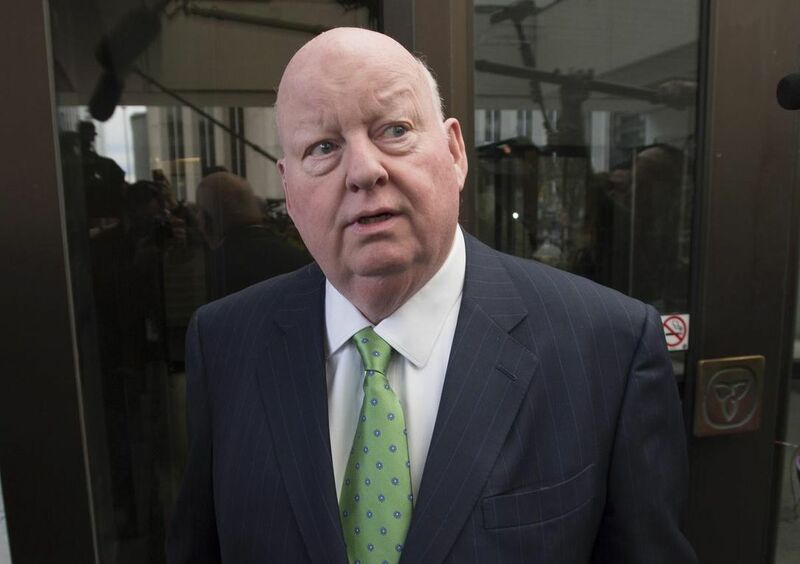 Maxime Faille, a lawyer for the Senate, said that if Duffy was so concerned the PMO was violating his privileges, he should have gone to his fellow senators — the same people to whom he should now direct his grievances. “If he’s restricted to seeking justice from the same group of people who (once) expelled him because of alleged misconduct. … I don’t know how that could possibly be construed as access to justice,” Greenspon said. Next PostShould Canada make adequate housing a human right?